Taking a day trip from Florence gives the traveler a look at the countryside of Tuscany - picturesque hill towns, vineyards, and wineries, or the coast. A few places in nearby regions can also be easily visited. Click on the links for more information about each place. Take a look at our Tuscany Rail Map to get an idea of locations. Siena is a classic Tuscan medieval hill town and one of the most popular. It's a pretty town with a large fan-shaped piazza, beautiful cathedral (for a special treat, book a Gate of Heaven tour), pedestrian streets with shops, and the second highest medieval bell tower in Italy (with 505 steps to the top). 60 km south of Florence, Siena is accessible by either train or bus but the bus stops near the center while the train station is below town and you need to take a connecting bus to the center. Book tours of Siena through Viator. Pisa is famous for its leaning tower, beautiful Duomo, and Baptistery in Piazza dei Miracoli. It also has a good medieval center and a walk along the river so you could easily spend a full day there. Pisa is easily reached by train or bus from Florence. Fast trains take 45 minutes while the less expensive regional trains take over an hour. Book tours of Pisa through Viator. Fiesole, in the hills above Florence, is an easy day trip. It's a great place to escape the summer heat and on clear days there are good views of the Florentine hills and even Florence. Fiesole has a good archeology park with a Roman amphitheater and Roman, Etruscan, and Longabard ruins. A bus runs from the Florence train station to Fiesole. Lucca is a walled city with one of the best-preserved walls in Italy. Atop the walls are walking and bicycling paths and gardens, allowing you to walk completely around Lucca's historic center. Most of Lucca is flat so if you're tired of walking up hills, this is a good place to go. There are beautiful churches, good shopping, and several well-preserved towers from where you can get fabulous views of the city by climbing to the top. Enjoy this video of our walk around Lucca. Frequent trains run between Florence and Lucca, taking a little over an hour. The train station is just outside the walls from where it's an easy walk to the center. Book a tour of Lucca through Viator. San Gimignano is a small walled hill town known as the City of Beautiful Towers for its 14 surviving medieval towers. You can climb one of them for great views of the Tuscan countryside. There's an 11th-century duomo decorated with 14th-century frescoes, several museums, and a number of good restaurants serving typical Tuscan food. To get to San Gimignano, take a bus or train from Florence to Poggibonsi. From Poggibonsi, there are frequent buses to San Gimignano, about a 20-minute ride. Bologna, known for its great cuisine, is a beautiful city with two great squares, porticoed walkways, fine historic buildings, and an interesting medieval center with a tall medieval tower whose steep staircase you can climb for great views from the top. You can also take a cooking class, Passionate about Pasta, that starts with a market tour and ends with lunch. Bologna can be reached by fast trains, taking 30 - 35 minutes and from the station, you can walk or take a bus to the center. Book a city walking tour through Viator. Montecatini Terme is a historic spa center with thermal waters, reminiscent of bygone days. It's a good place to walk, relax, visit a spa, or take the waters and enjoy music at the Liberty-style Terme Tettuccio. You can also take the charming funicular railway up the hill to the small medieval town of Montecatini Alto. Inexpensive regional trains take less than an hour to get to Montecatini. A good way to visit a couple of wineries and tour Tuscany is by taking a guided winery tour. Most of these winery tours include transportation with pick-up and drop-off at Florence hotels, wine tastings, and lunch. The picturesque Chianti Classico wine region lies between Florence and Siena to the south. There are small wine towns, rolling hills covered with vineyards, and wineries that offer tasting. The area is best visited by car or on a tour, but you can get to the wine town of Greve by bus from Florence. Book a half-day private wine tour through Viator. This four-hour bucolic Tuscan tour from Florence includes wine and olive oil tastings. 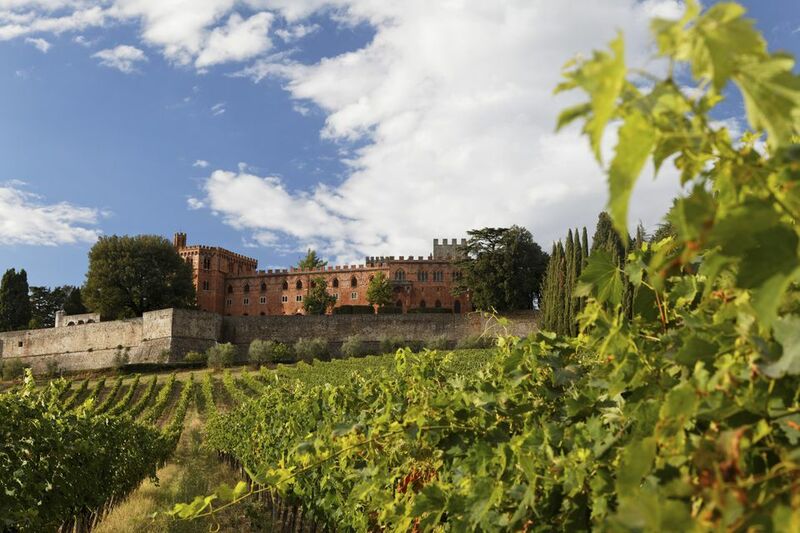 You'll visit a Renaissance villa and wine estate, as well as walk around the cellars and learn about the wines produced in this part of Italy. Book the biking tour through Viator. The main city on Tuscany's Versilia Coast, Viareggio, can easily be reached from Florence by train. If you have a car you can explore other towns and beaches along the coast. It's possible to visit the Cinque Terre from Florence but a little difficult to do on your own if you're traveling by public transportation. Viator offers a great day trip from Florence. Book the day trip to Cinque Terre through Viator. Here you'll find day trips from other top destinations including Rome, Venice, and the Amalfi Coast.